Announce European tour + new album ‘Music From Republik der Wölfe’ – out on 10 March(EU)/ 15 April(US). Alexander Hacke, Mick Harvey, Danielle de Picciotto and Paul Wallfisch have announced details of The Ministry Of Wolves European tour – their first ever – which includes a performance at The Lexington, London on 1 April. The dates follow the release of their debut album, Music From Republik der Wölfe, out on CD and vinyl Mute on 10 March 2014. 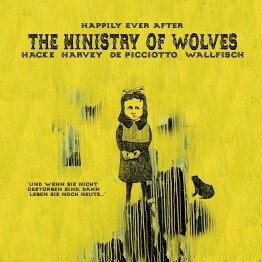 Based on the writings of the Brothers Grimm, in particular Anne Sexton’s ‘Transformations’ (1971), the Pulitzer Prize winning poet’s reworking of the Grimm’s fairy tales, the album has been created as a soundtrack to ‘Republik der Wölfe’ a theatre production directed by Claudia Bauer. 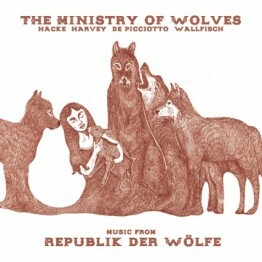 ‘Republik der Wölfe’, with live music from The Ministry Of Wolves, premieres at Theater Dortmund in Germany on 15 February 2014. 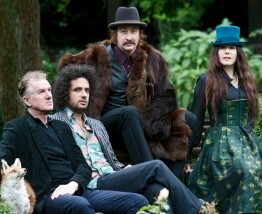 Mick Harvey will release a double CD of his own interpretations of the songs of Serge Gainsbourg on Mute on 7 April 2014.